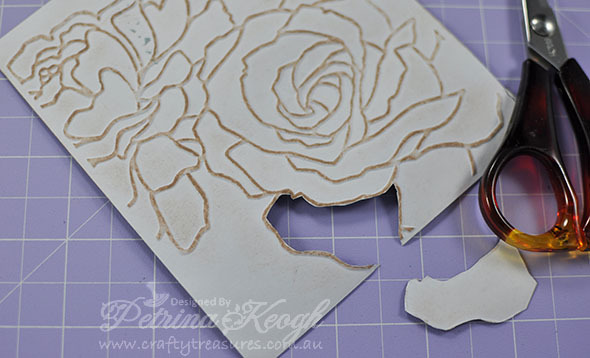 Well I finally got round to putting together my first tutorial for you all, and I hope you like it. 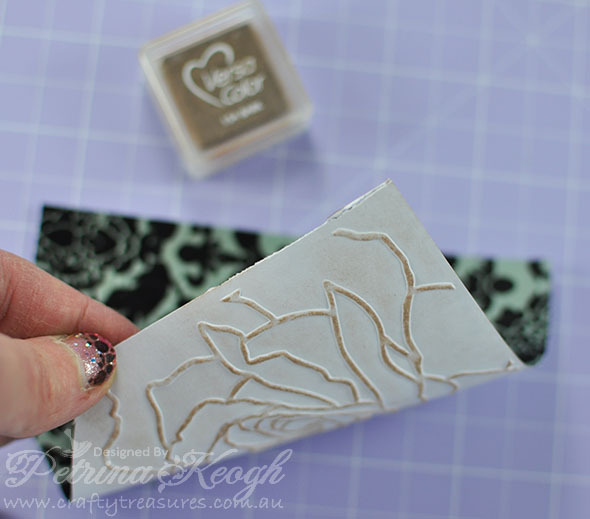 I think this technique suits this Stampin’ Up! 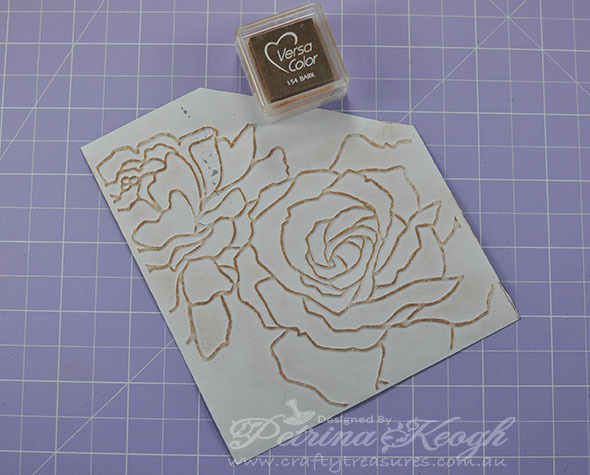 Manhattan Flower embossing folder to a tee, with it’s larger portions within the design making it perfect for this. I’d love to see more folder designs similar to this one. 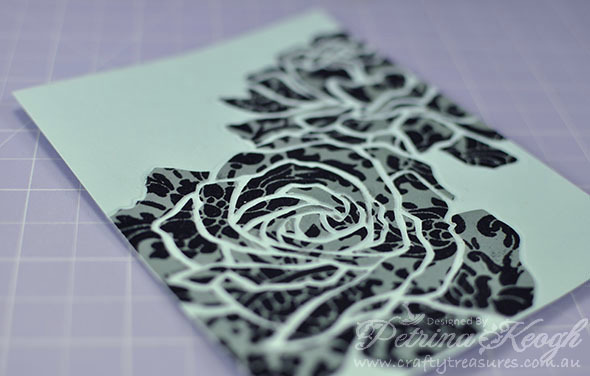 I used the same Kaisercraft paper pad collection as the Original card found here, but made a different design! 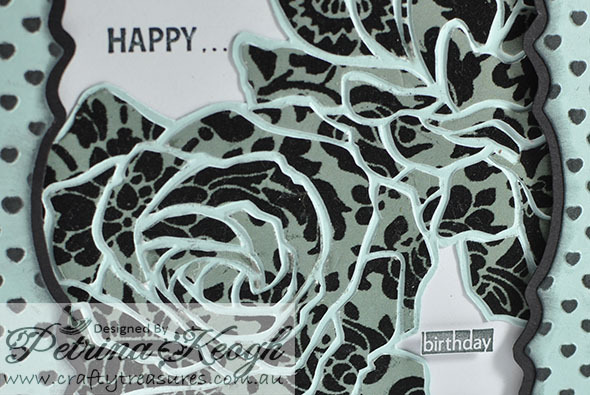 It feels fantastic too, this one I chose is a printed flocked page (feels like velvet…simply gorgeous!). 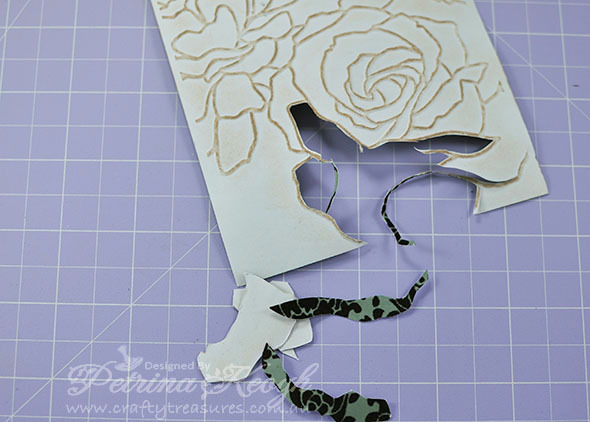 I put together this tutorial for the technique only, not for the actual card making. 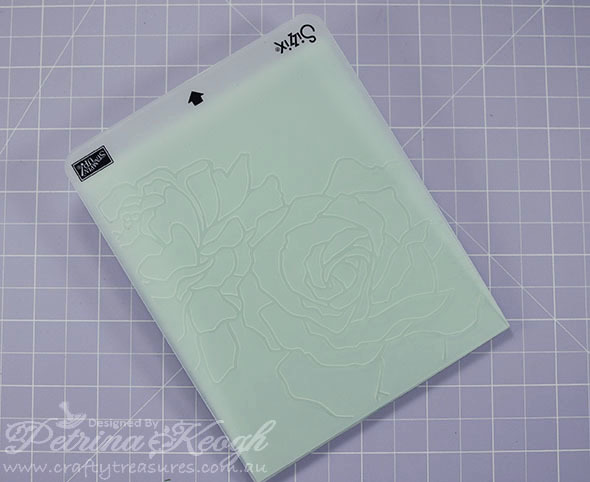 I have listed what I used to make the card itself, but there is no tutorial pics for the card (only pics for the technique). 1. 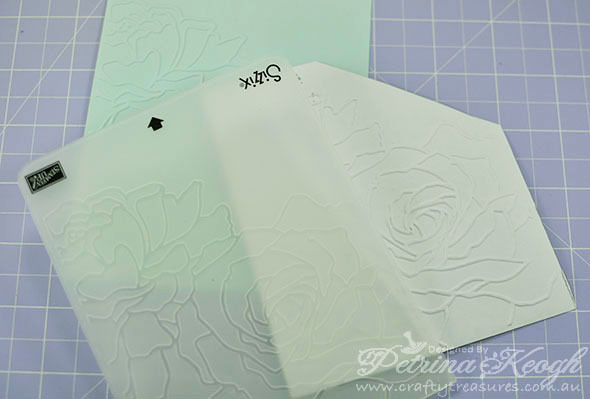 Take the plain piece of card stock and emboss it. 2. 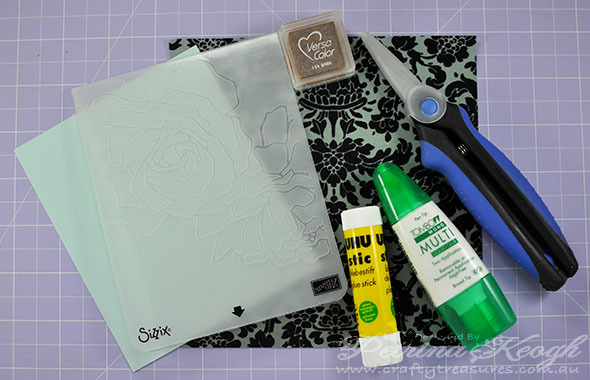 Place the pattern paper into the embossing folder with the printed side you wish to use facing the back of the folder (the front has the small logo in the bottom right corner). 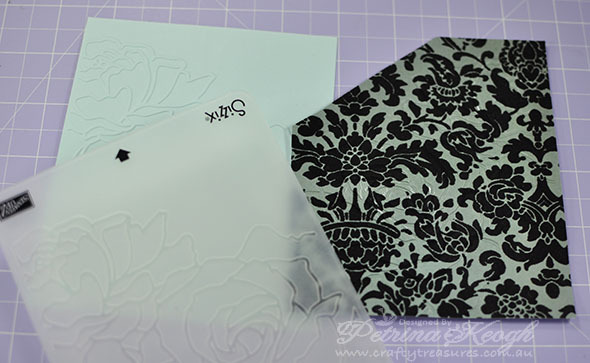 If you are using double sided paper, have the printed side you wish to use facing toward the back, away from the logo), and emboss it. 4. On the back of of the printed paper (or the back of your double sided paper), with the pigment ink lightly scuff over the raised areas. Preferably use a colour, that shows up on it. (I did not use a dye ink, as the dye ink will most likely bleed through to the other side). 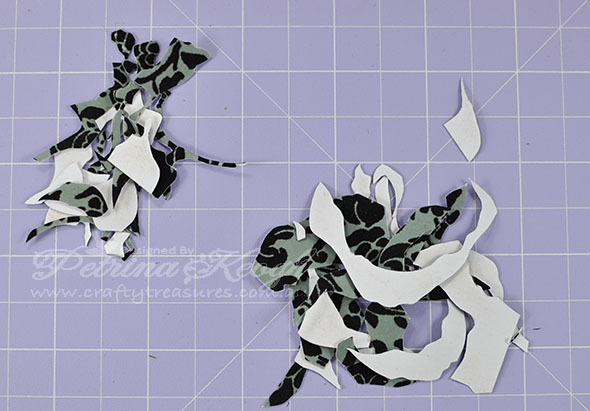 This is the finished piece, you can now trim this out to sit behind a frame card or cut it with your Spellbinders – Nestabilities and mount this onto a card. I made 2 different designs with no rhyme or reason, hopefully you gain some inspiration and give this a try, I would love to see your lovely creations. 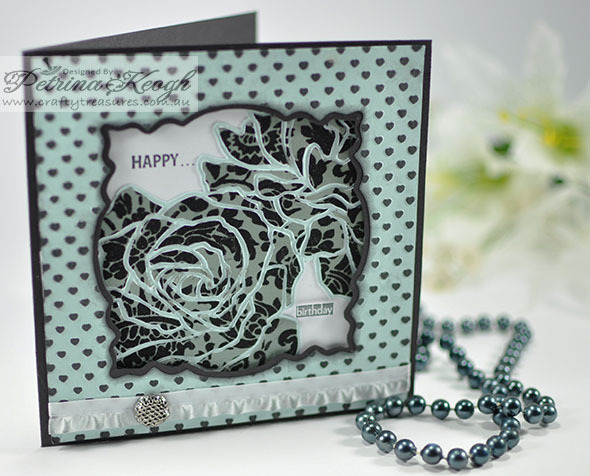 Thank you for sharing this card idea! Your card looks so stunning makes me go WOW! This will definitley be on my very soon to be tackled list! 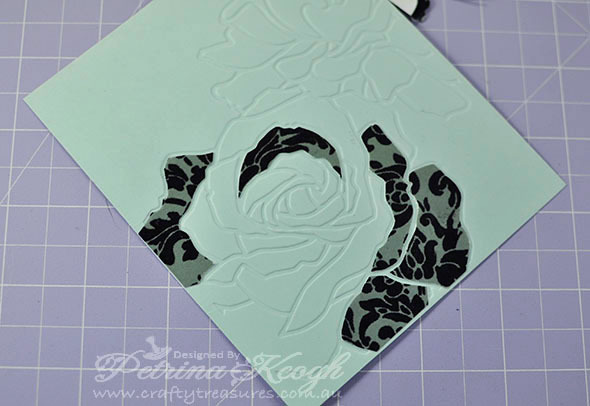 I LOVE LOVE LOVE THIS IDEA, AM GOING TO TRY IT OUT WITH A EMBOSSING FOLDER I HAVE TOMORROW, THANK YOU FOR SHARING!